Oh no they didn’t! That’s My Jam! has the greatest R&B hits from the 90’s and 00’s. This new 5 CD set from Razor & Tie is awesome! Totally takes me back. It has everything from R. Kelly, Aaliyah, T.L.C., Toni Braxton, Salt ‘n Pepa…this set has got it goin’ on! 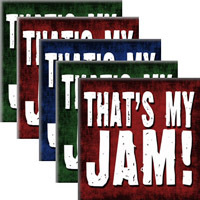 Check it out here That’s My Jam!